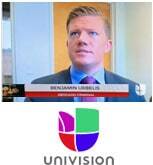 Massachusetts DUI Lawyer | Boston OUI Attorney | Benjamin P. Urbelis, Esq. 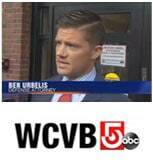 Contact Boston OUI Attorney Benjamin P. Urbelis, Esq. 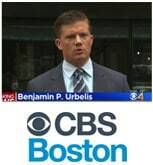 Urbelis Law is a Boston-based criminal defense firm specializing in Operating Under the Influence (DUI) cases throughout the district and superior courts of Massachusetts, as well as federal matters for the United States District Court in the District of Massachusetts. Our Massachusetts DUI lawyers pride ourselves on results. Due to our record of success defending operating under the influence and motor vehicle crimes, obtaining "Not Guilty" verdicts on 90% of the cases we take to trial, our biggest referral base comes from past clients. When you trust your criminal matter to Urbelis Law, you can rest assured that you are receiving state of the art representation. Click here for some of our most recent case results. We understand that most drunk driving arrests in Massachusetts occur over the weekend and during non-business hours. For that reason, we are available for an immediate free initial consultation. We encourage you to call our office or fill out the contact for immediately after your release, and we will get back to you ASAP. Even for a first offense OUI charge, showing up to your Monday morning arraignment in court with a lawyer could be the difference between resolving your matter in a timely fashion with your driver's license restored the following week, and having your license suspended for up to one year or longer. If you are facing a more serious motor vehicle charge, or if this is not your first offense, you should absolutely consult with a Massachusetts DUI lawyer prior to your arraignment, as the prosecution may be asking that you be held on a high cash bail, or perhaps even up to 120 days as a threat to the safety of the community. In either case, you have nothing to lose by contacting our office, as our initial consultation is always free and there is no obligation to hire us. We will simply take the time to listen to your situation and provide you with our best advice on how to proceed. At Urbelis Law, we defend people throughout Massachusetts, from all walks of life, who are charged with motor vehicle offenses. In fact, this is what we do every single day. If you are charged with operating under the influence or any other serious motor vehicle crime, it is important to speak to a lawyer who commits his/ her practice to this area of the law. It does not matter how many years your family attorney has been practicing if he/she only handles a DUI/ OUI case once in a blue moon. This is a very complicated area of law with serious, lifetime consequences. You cannot afford to have your case handled by anyone other than an attorney specialized in OUI defense. If you have been charged with a crime, the first question you should ask a potential Massachusetts DUI attorney is "How often do work on this type of case?" If the answer is anything less than every day, it's time to contact Urbelis Law for your free initial consultation. While you may have heard people refer to a “drunk driving” charge as DUI, DWI, or OUI, they all refer to the same criminal offense. In Massachusetts, the official charge is Operating Under the Influence, or OUI. This charge applies to operating under the influence of alcohol and/or illegal drugs. These links provide information on some of the most frequently asked questions in this area of the law.